Tonight at Leti and Matt’s is a family, la familia, affair for a very special event. As we eat tamales, not just any tamales, hecho a mano tamales by Mrs. Martin, the kind you will never find anywhere but home. Leti’s Mon and Dad are down to San Diego for a very special event as my baby brother, Matt, has a pinning ceremony tomorrow, being it is only 10:30 here. This is one of those events that come once in a lifetime for a family. 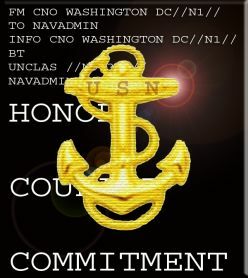 Matt will get pinned with his first star in the Navy as a Rear Admiral Lower Half. He is still my baby brother, but as the eldest family member I couldn’t be prouder of him as he carries on a family tradition of serving out Country. Our Grandfather served as a Marine in WWI and Dad served in WWII in the Army Air Corps, his eldest brother served in the Army and now Matt has reached the highest honor serving in the Navy. Tomorrow I will have more official news and pictures.